This year again I decided to be part of Team Asha and run for their honorable cause. 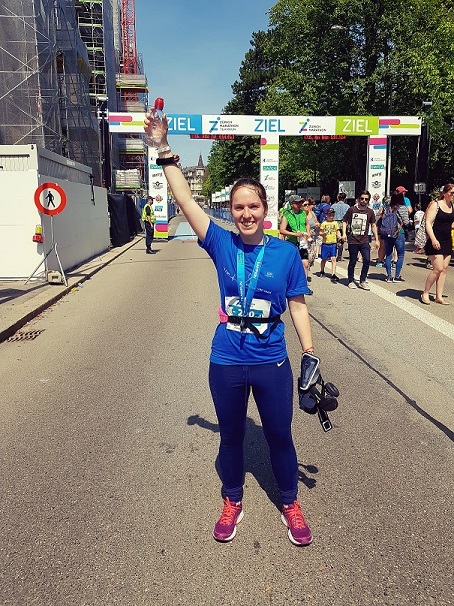 Like last year I will be participating to the Zurich Marathon event which will take place on 28th of April 2019, and my goal will be to complete my third half-marathon. As part of the Running Team I will support Asha with their funds raising mission. Asha inspired me through its noble cause of helping those who are less fortunate than us. Through its fund raising projects, Asha's mission is to bring education to children in rural and economically backward areas of India. I'm a strong believer that education is key to reducing poverty, promote gender equality, reduce child marriage and promote peace. Through knowledge, children are given the power to make their future brighter and improve their lives. I also believe that education is a fundamental human right, which should not just be for a privileged few, but for everyone. My goal this year will be to run the 21.5km distance again (17.5km + 4km stretches) but aiming at finishing this time in less than 2h:10m; running for Asha's good cause will be my greatest motivation! Please help me support Asha and its cause with whatever contribution you can make. Any donation even if small will make a huge difference in the life of someone who needs it. 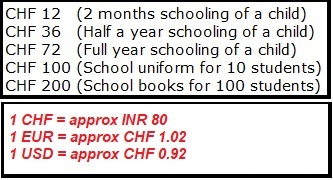 Please either select one of the set amounts or choose yourself any that you wish to donate. As Asha is an organization fully run by volunteers, with no paid staff and with running costs kept to a minimum, this ensures that 100% of the donations received fully go into Asha's projects.